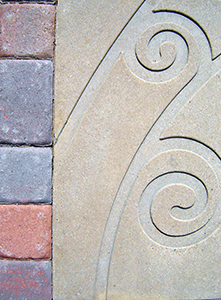 Hardscapes can be stunning and beautiful additions to any commercial outdoor living space. When we combine hardscapes, which are the foundation of any commercial living area, with our expertise and knowledge we have of the commercial construction industry, we can transform your building into an aesthetically-pleasing work place. With OnSite Resources, you will get top notch commercial foundation services, in addition to the best hardscaping design and installation you can find in the Raleigh area. From material selection to implementation of design, there is no commercial project idea that we can’t transform into a reality. We pride ourselves in providing our commercial clients with the highest quality of commitment and excellence in our hardscaping services. Our Raleigh hardscapers are trained and knowledgeable in all aspects of commercial pre-construction, construction and post construction services. They will discuss your project with you and listen to your needs and wants. All of our hardscaping services can be customized to fit your individual tastes and will blend naturally with your building’s existing landscape. Contact us with any questions you may have regarding our various hardscaping services or to schedule an appointment with one of our technicians. We are proud to serve customers with commercial properties in Raleigh, Knightdale, Durham, Chapel Hill, Cary, Morrisville, Wake Forest, Apex, Garner and surrounding NC areas.